Music is about more than hitting the right notes. It’s about honoring our Creator. The Department of Music prepares graduates who are talented musicians in tune with the creativity of our Maker. With each lecture, lesson, and performance, you’ll be challenged to grow in your abilities and prepare for a lifetime of sharing the gift of music. December 05, 2018 | 2 p.m. The 5:20 Jazz Orchestra will present a program of classic jazz tunes directed by Jason Harms. In the music department at Bethel, we've developed majors and minors that allow students to sharpen their individual skills and follow their passions. We think that there's no better preparation for a career in music than working with peers in ensembles, meeting one-on-one with professors to fine-tune technical skills, or stepping onto the platform for competition. After all the private lessons, long hours in practice rooms, and dress rehearsals, students in the music program leave ready for a lifetime of sharing the gift of music. It's about taking our faith in Christ and integrating it into everything we learn, into everything we do, so we can accomplish incredible things—in our careers, in our communities, and in our world. Recent grads have performed with the St. Paul Chamber Orchestra, The Minnesota Opera, The Banff Festival Orchestra, The Aspen Festival, The Oregon Bach Festival, and the nation’s service bands. 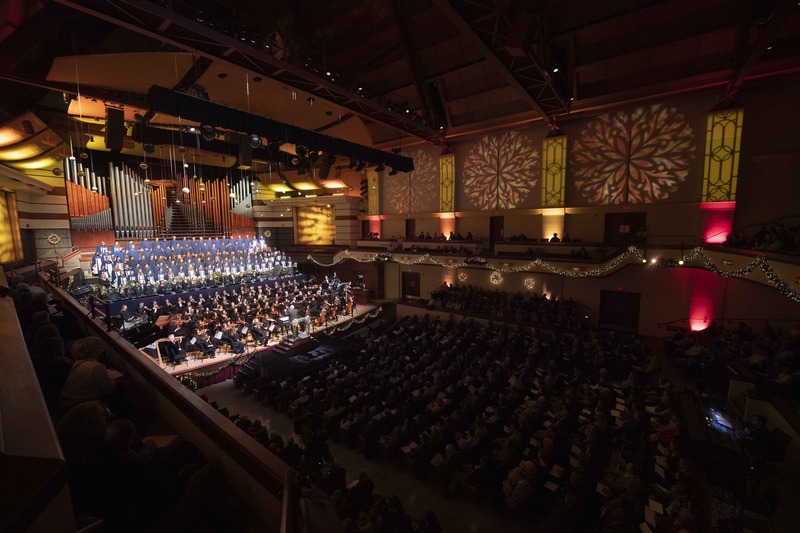 Bethel's 1,700-seat Benson Great Hall, one of the finest concert halls in the Upper Midwest, attracts local and national performers to aid in your growth as a musician. Major music ensembles tour within the U.S. every year and internationally once every 4 years, giving you the opportunity to share God's love and inspire others through performance. Because we're a liberal arts institution, you'll interact with a variety of disciplines, which prepares you for a multitude of careers. And with nearly 400 university students involved in ensembles, your experiences will be rich and diverse. Music professors are passionate, innovative teachers, as well as talented musicians in their own right. With 7 full-time and 26 part-time professors, the broad range of musical disciplines is represented. From private lessons to music theory classes, honoring God with our talents and discipline is at the core of what we do. Nearly all of our recent music education grads who actively seek teaching positions have been placed in jobs throughout Minnesota and the nation. Private lessons in voice and a variety of instruments are available to music and non-music majors alike. We sponsor 2 student competitions each year—the fall semester Performance Prize and the spring Concert-Aria competition—offering you top-level performance preparation and scholarship opportunities. In addition to their individual local and tour performances, these groups perform together in Bethel’s annual Festival of Christmas, Jazz in the Great Hall, and Spring Music Festival concerts. Music students prepare for professional careers in a variety of industries and graduate programs in fields ranging from performance to music therapy to education.